The White House won’t comment on reports that Donald Trump Jr. is being ‘squeezed’ by Robert Mueller’s investigation, or that the president, frustrated with an inability to stop the probe, shouted at Rudy Guiliani this weekend, blaming him for the entire situation. The reported outburst, however, fits with Trump’s more public Twitter rages, in which he expresses anger at Jeff Sessions for failing to protect him from the investigation. According to Vanity Fair, unable to pressure Jeff Sessions into resigning, Trump raised his voice at Rudy Guiliani, transferring the blame to him for failing to accept an appointment as Attorney General, and in turn, end Robert Mueller’s investigation into Russia’s attacks on the 2016 election. It’s your fault! I offered you attorney general, but you insisted on being secretary of state. Had I picked you none of this would be happening! In March 2017, Donald Trump called Jeff Sessions an honest man and spoke defensively of him when Sessions was accused of intentional misleading when he failed to disclose contacts with a Russian ambassador. However, in the wake of these accusations, Sessions recused himself from any issues directly connected to the Russia investigation, as the New York Times reports. Trump has shown his disapproval for this decision repeatedly. Trump isn’t the only person who thinks Giuliani has done him a disservice. In his role as attorney, Giuliani has been widely criticized for a variety of statements that don’t seem to help. For instance, Giuliani has repeatedly claimed that Trump can’t talk to Mueller, because he’ll be ‘trapped’ into committing perjury. Giulian has contradicted himself and Trump in interviews, for instance, saying that Michael Cohen made payments to Stormy Daniels with assurances Trump would pay him back, or, as Time reported this week, admitting the Trump Tower meeting was about getting dirt on Hillary Clinton — not international adoption, as the Trump family have claimed. Most recently, Giuliani spoke out with a barely-decipherable tweet, apparently taunting John Brennan and daring him to sue over the removal of his security clearance, which Trump did by a direct order, sidestepping usual procedures. To John Brennan: Today President Trump granted our request (Jay Sekulow and me) to handle your case. After threatening if you don’t it would be just like Obama’s red lines. Come on John you’re not a blowhard? His Orwellian declaration that “truth isn’t truth” this week was one more instance prompting criticism that the Trump administration wants to define truth and facts by momentary convenience, rather than demonstrable reality, and only reiterates that the attorney doesn’t feel his president can speak to Mueller without being caught in objectively false statements. 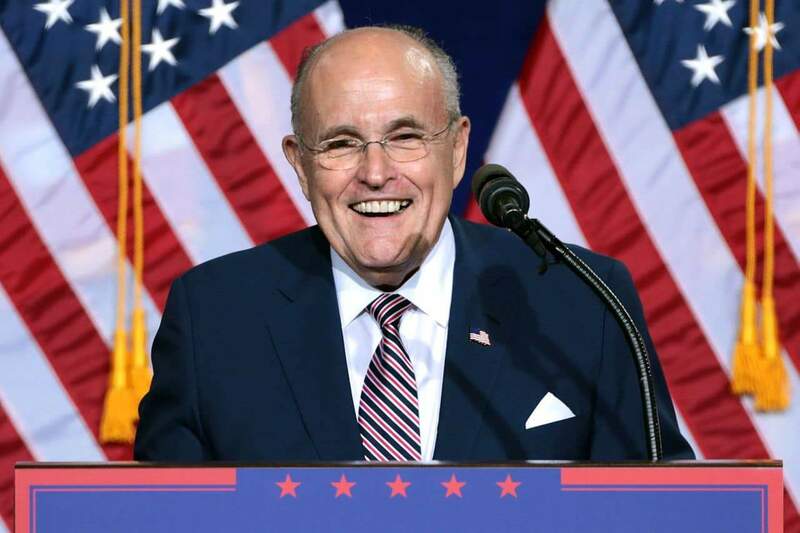 However, Donald Trump turning the blame on Rudy Giuliani may be the first sign that POTUS himself doesn’t think the former mayor of NYC is helping his cause — even if he blames Giuliani for the earlier action of refusing the position of attorney general, rather than his contradictory and incriminating statements about Trump’s actions.